In November 2015 LADOT expanded the downtown Los Angeles Express Park program to Westwood Village. Just like in downtown LA, wireless sensors track street parking activity around the clock. 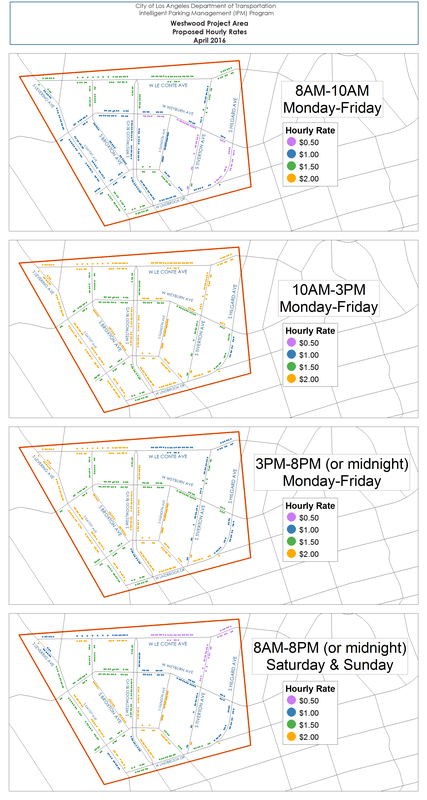 Using these data, parking meter rates will be adjusted on the first Monday of April 2016 to better match the price of parking to the demand on each block and each side of the street. 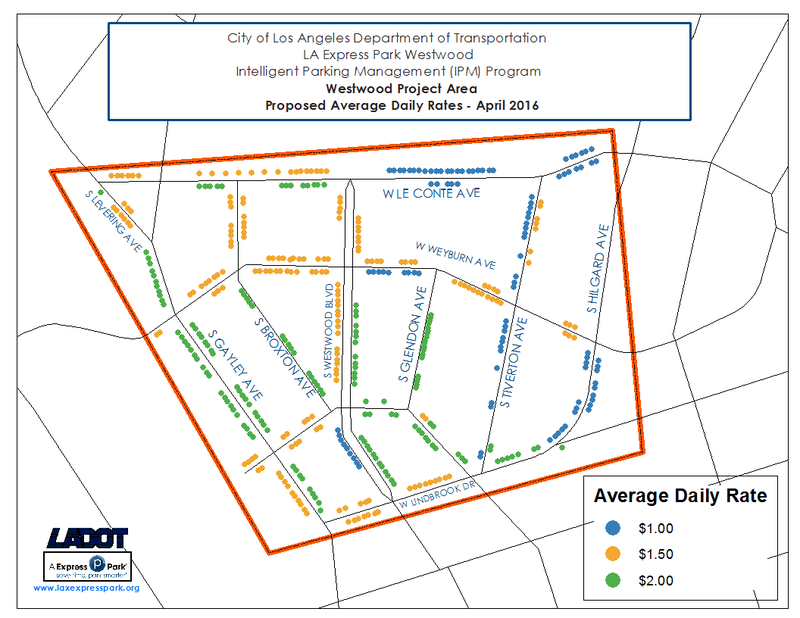 The overall goal of the LA Express Park™ program is to improve parking availability and reduce the time spent hunting for parking in order to cut down on traffic congestion and pollution in Westwood Village. 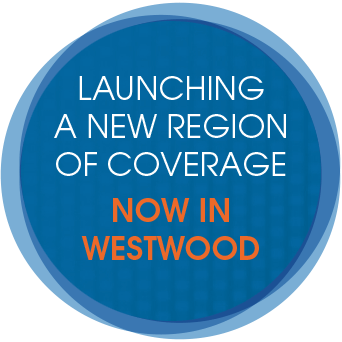 Of 462 spaces in the Westwood Village area, the average price will increase at 68% of spaces and stay the same at the remaining 32%. To better fit demand patterns, seven blocks will switch from Fixed to Time of Day rates. 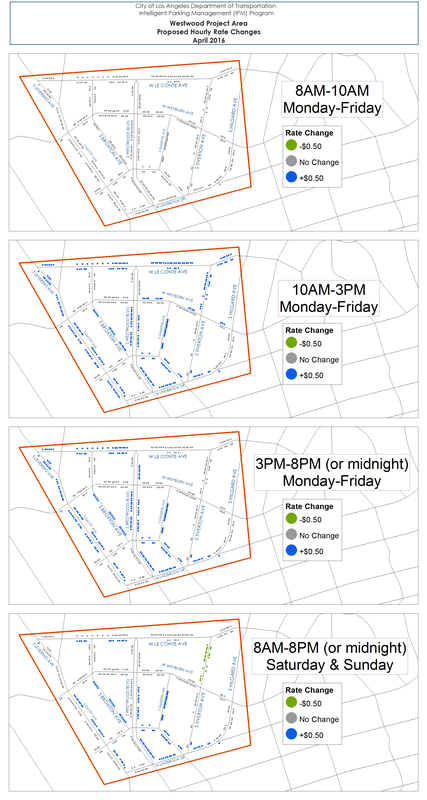 With this change, 39 of the 44 blocks in Westwood will have Time of Day rates. 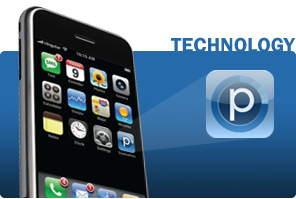 The average hourly rate for all meters will increase from $1.35 per hour to $1.56 per hour. 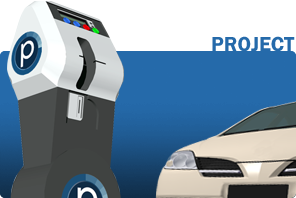 On the website, you will also find a real-time parking map and links to smartphone apps that help you find current rates and open parking spaces and even let you pay for your meter remotely. 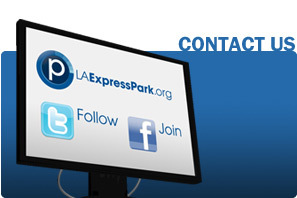 Explore the website to learn more about the LA Express Park™ program and find out how you can “save time, park smarter” in Westwood Village.